Nixon Resigns on this day, 1974–Trump Next Year? 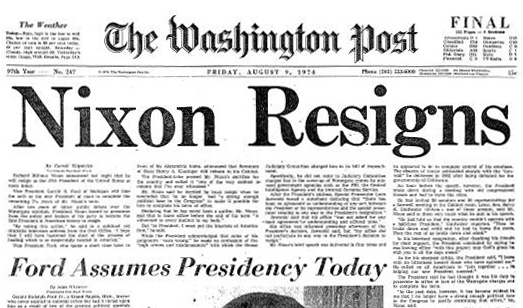 Thanks to a reminder on cable news last night, I realized that an anniversary had arrived–Nixon formally tendered his resignation at noon on the 9th of August, 1974. Facing certain impeachment (and a conviction in the Senate) he had no other choice. I still have copies of the complete coverage by the Washington Post that day. I watched the news from the student lounge at GULC, early in my first year of law school. 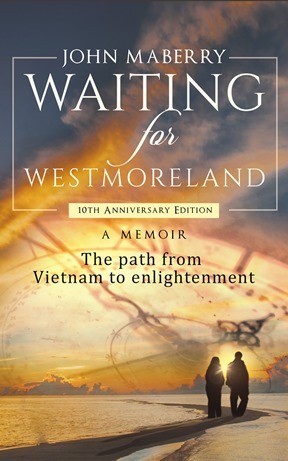 A school where Sam Dash, Chief Counsel of the Watergate Committee, served as an adjunct professor. I cheered at the coverage and scoffed at then prominent newsman John Chancellor’s pronouncement of the sad day for America and that no one was celebrating at this departure. How wrong an assessment! I wasn’t the only one rejoicing. So many cabinet officials, so many staff and even his first Vice-President went to jail. Spiro Agnew was simply a grifter, like “all the best people criminals“ hired by or appointed to the Trump administration. Nixon himself avoided jail, pardoned by his second Vice-President–Gerald Ford. That act assured that Ford would NOT be reelected after assuming office. My prediction: many more members of the Trump administration will wind up behind bars than did those who worked for Nixon. But that’s a story for another day.